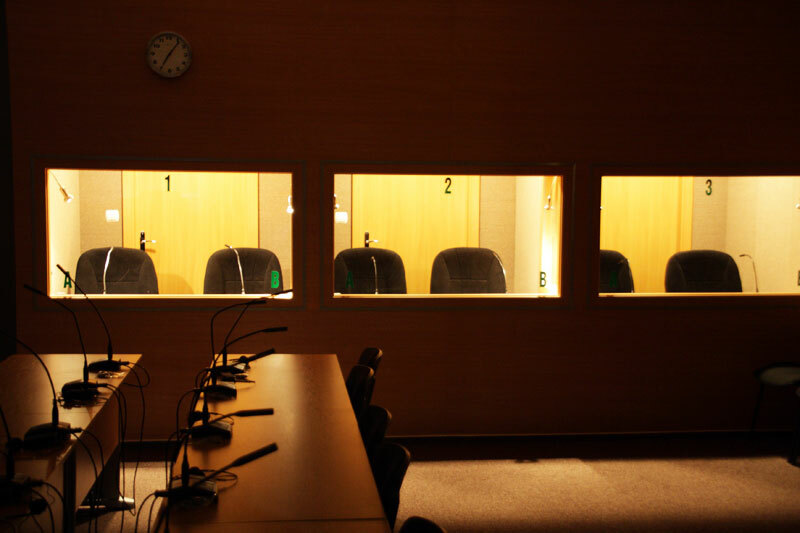 System's purpose is to prepare future interpreters—via simulating real work environment through providing an actual simultaneous interpreter console and booth—for genuine conferences. 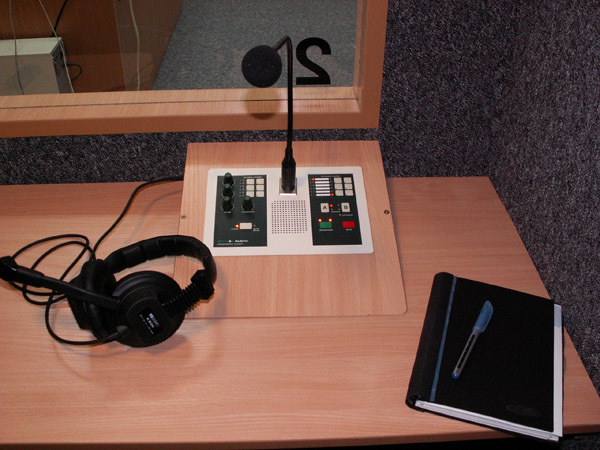 To pick a proper equipment for interpreter training, one needs to take into account the specificity of the classes as well as their range. Personal needs of an instructor are often difficult to meet but it's worth the trouble to cherry-pick from among possible functionalities, and the modular nature of the system allows just that: an unrestricted configuration and a possibility of a future extension. 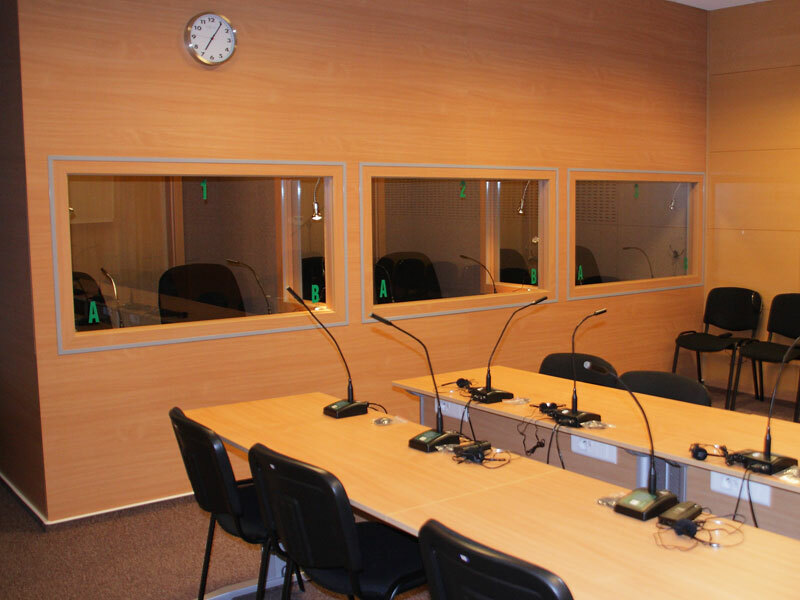 There are many ways the interpreter training can be performed: simulating a conference hall, connecting an language laboratory to the system, etc. 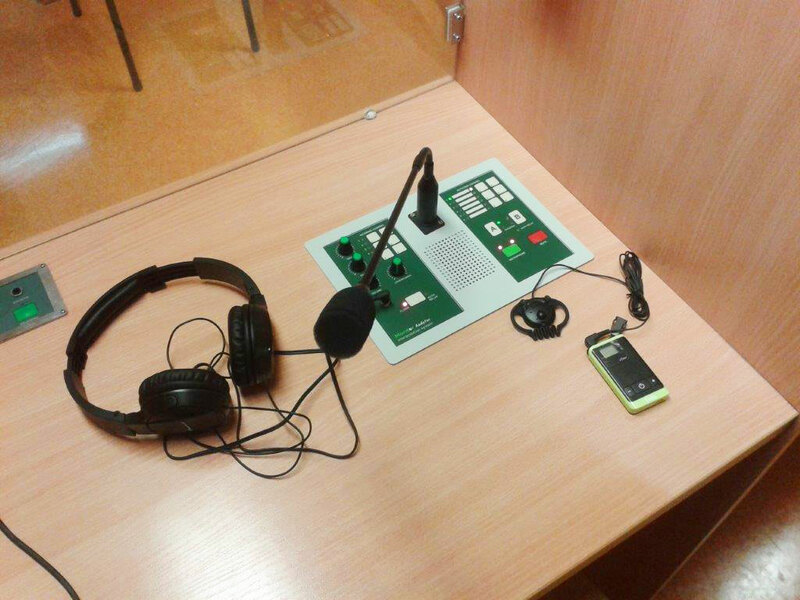 The latter allows a simultaneous phonetics and interpreting teaching, and examining the students' knowledge. It's also possible to record the translations of all the students at once and play them later. Audytor LAB - one of its kind, perfect for universities! 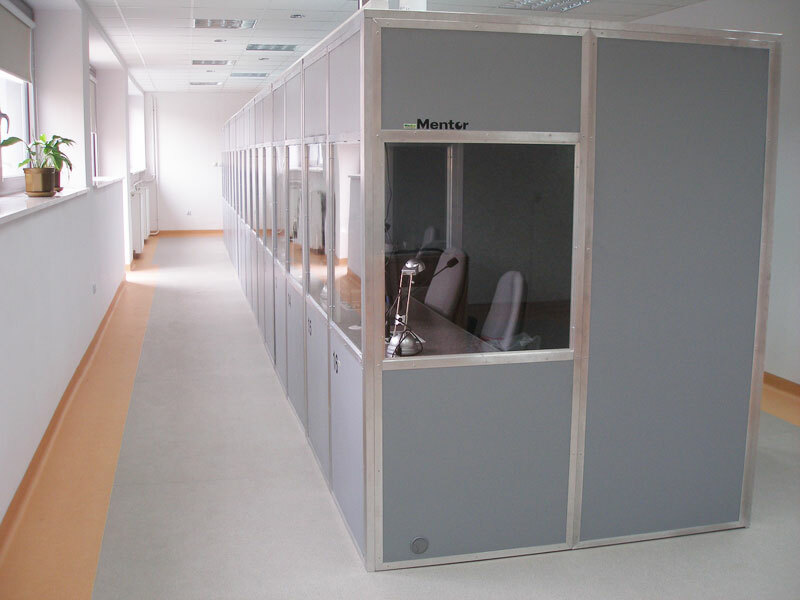 Mentor's Audytor LAB is a one of a kind, cutting-edge solution already in use at university faculties of linguistics. 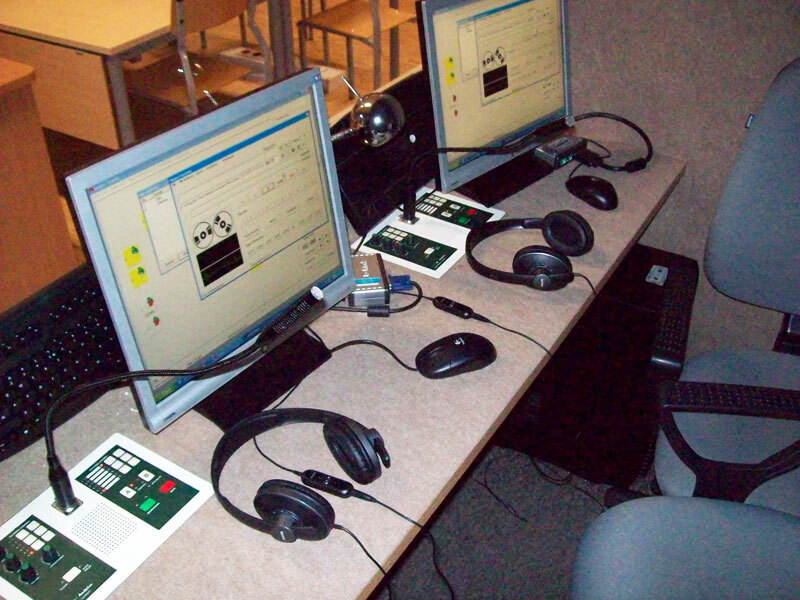 It allows multi-lingual interpreter training for many combination of languages. 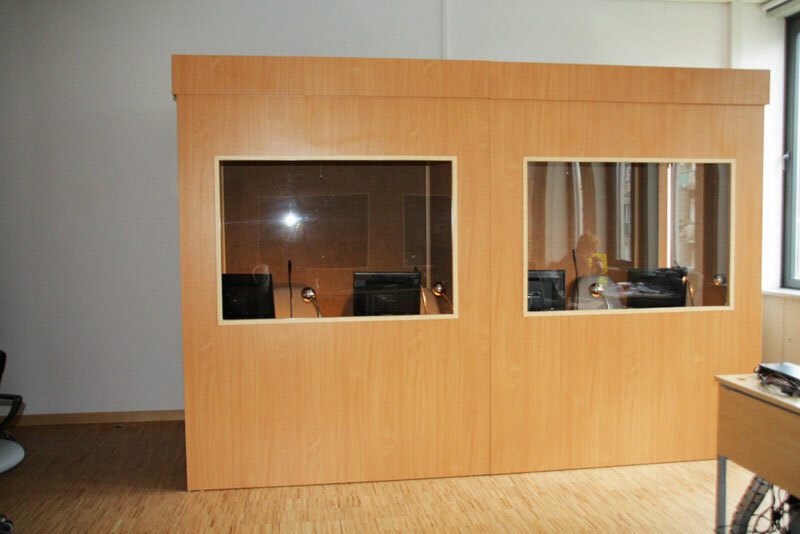 A basic Audytor LAB set consists of the interpreter booths with consoles, main unit, multi-track sound recorder and a PC with a dedicated management software for the teacher. Digital infrared emitters or radio transmitters can be added to the system in order to remotely pass audio channels to receivers. 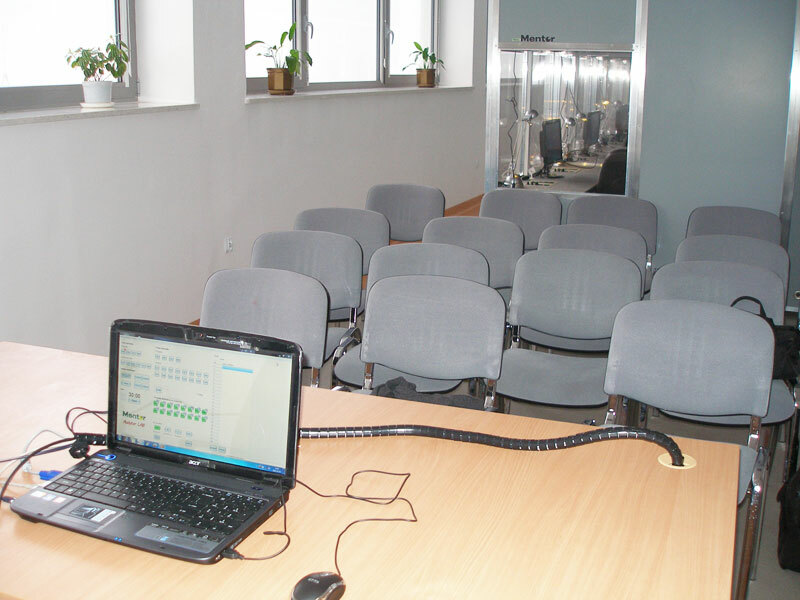 The system works together with any conference system; e.g. 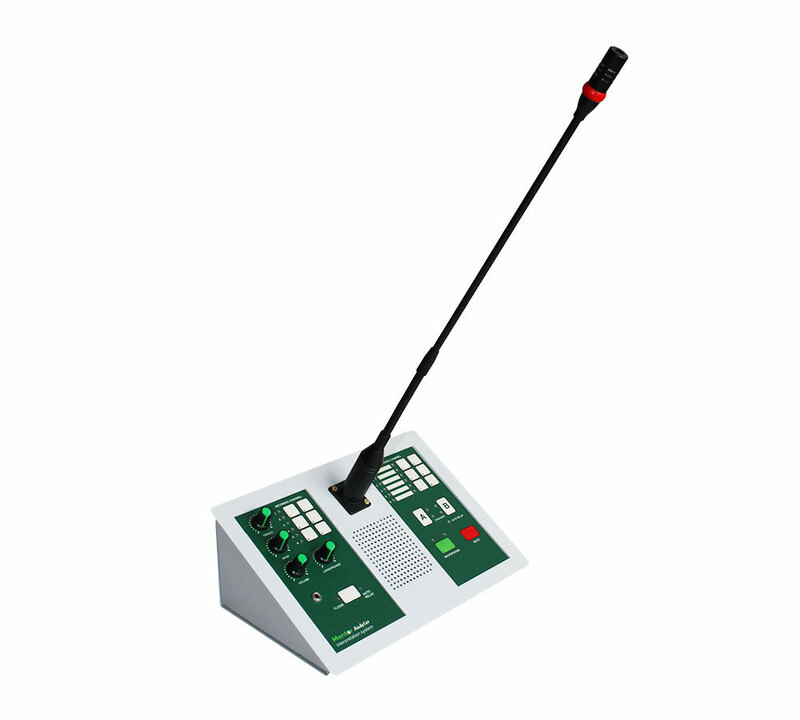 Deputy or Delegat L.
The system can be connected with any audio source: CD/DVD player, tape recorder, digital audio recorder or wired and wireless microphones. 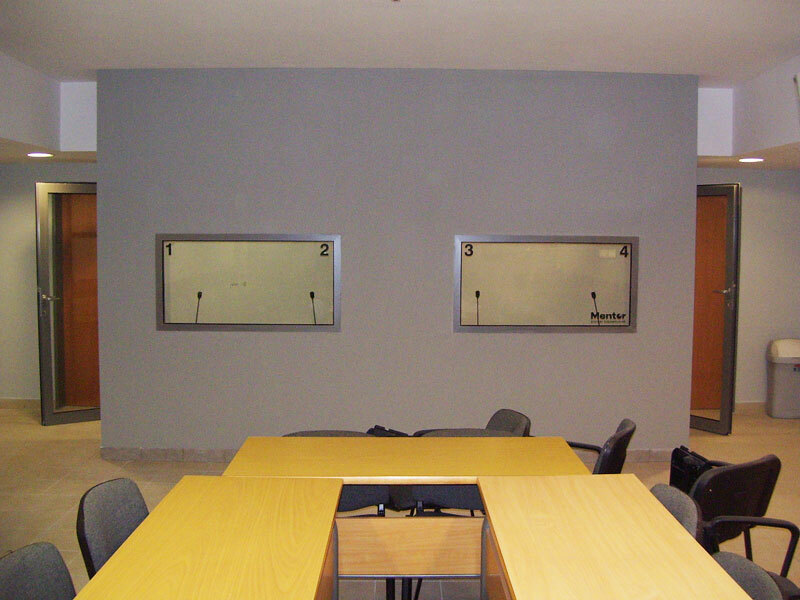 Audytor LAB is a stationary system to be mounted in a conference hall. It acts as a switch for teacher's, students' and external devices' audio channels and records them. It is a wired system but it can be extended to use an infrared or radio transmission. Up to 8 audio channels. Two interpretation modes: direct and indirect. Additional speaker with separate volume control to listen to the teacher. Listening to the teacher via headphones. Indirect interpretation by selecting an audio channel to be heard over headphones. Picking any of the audio channels for the transmission. Two language modes for the audio output: default and manual. Fast, single-button switching between two picked output audio channels. Signalling the current output and input audio channels. 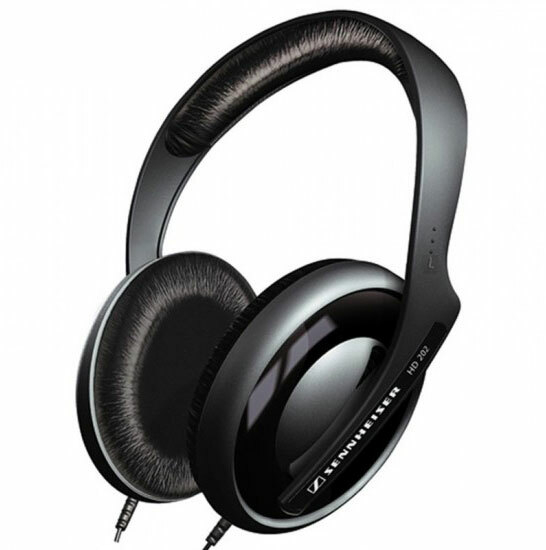 Separate volume, and low and high tone control for headphones. Muting the microphone input at will. Changing the output and input audio channels at any moment, while working. Redirecting other interpreter's audio output to your own if the languages match. Indirect mode allows to divide the student interpreters into pairs and for the teacher to eavesdrop on any of the students' work. 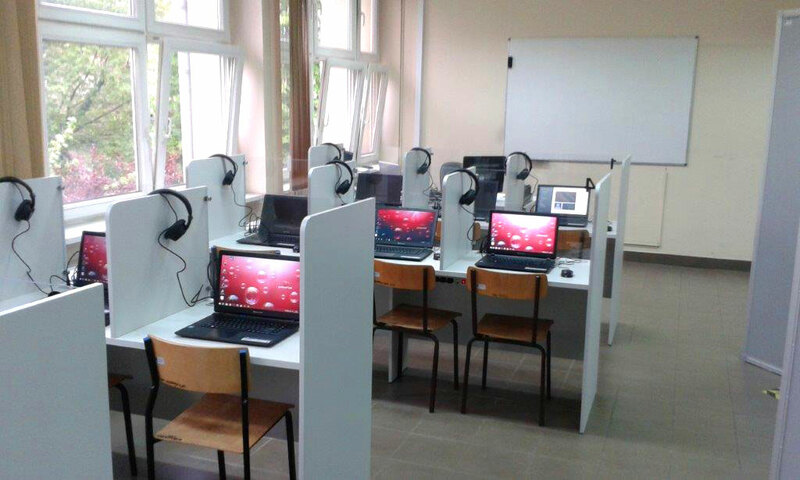 All the students can be recorded simultaneously. 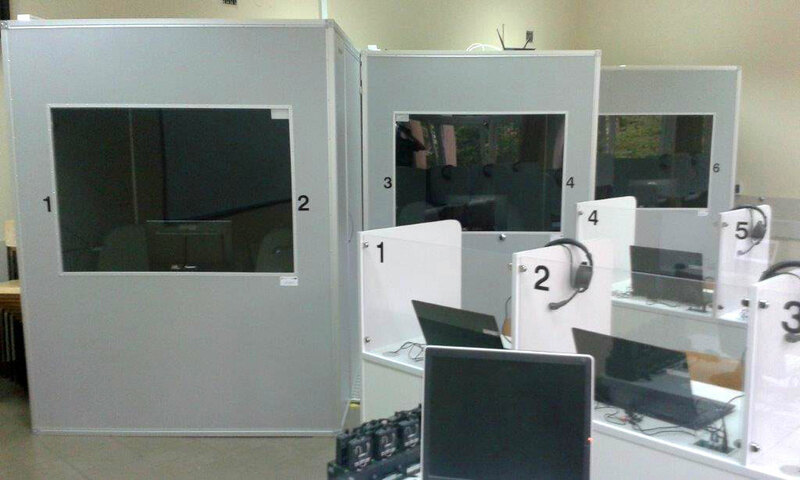 Up to 2 interpreters for each language (up to 12 interpreter consoles). Any audio signal can be used as teacher's output. 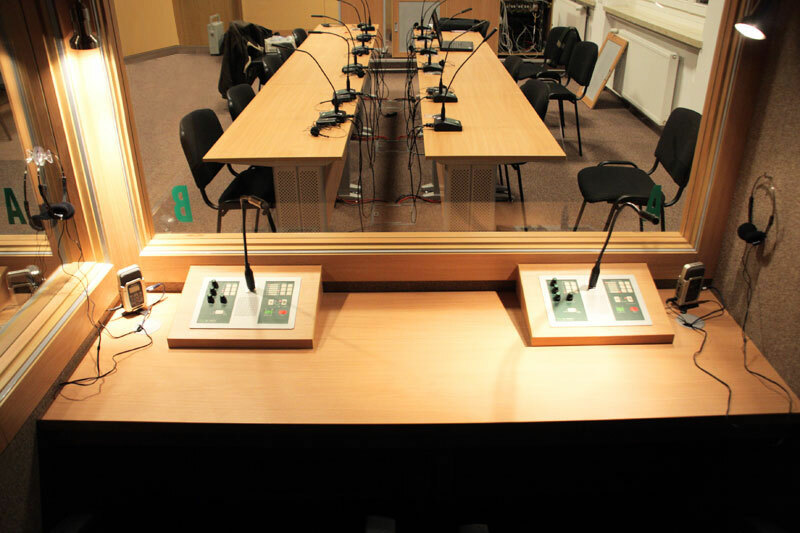 System works with professional simultaneous interpretation consoles. System works with any multi-track audio recorder. Separate recording audio output for each of 12 language channels. USB connectivity between the main unit and a PC. CAT5 twisted pair cabling connects the main unit with the interpreter consoles. Drivers for all of the MS Windows operating systems. 6 language audio channels for each of a batch of 6 users, plus additional 2 channels. 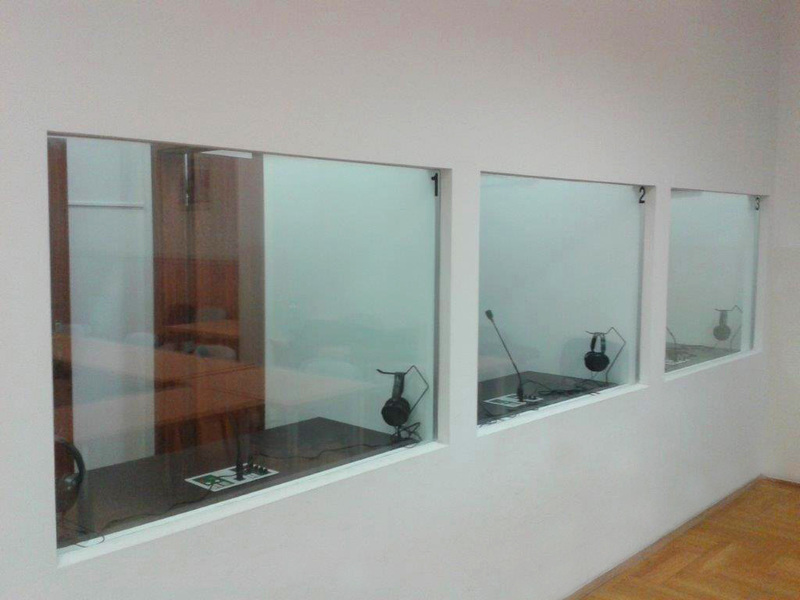 Up to 64 audio channels to communicate with the interpreter booths. 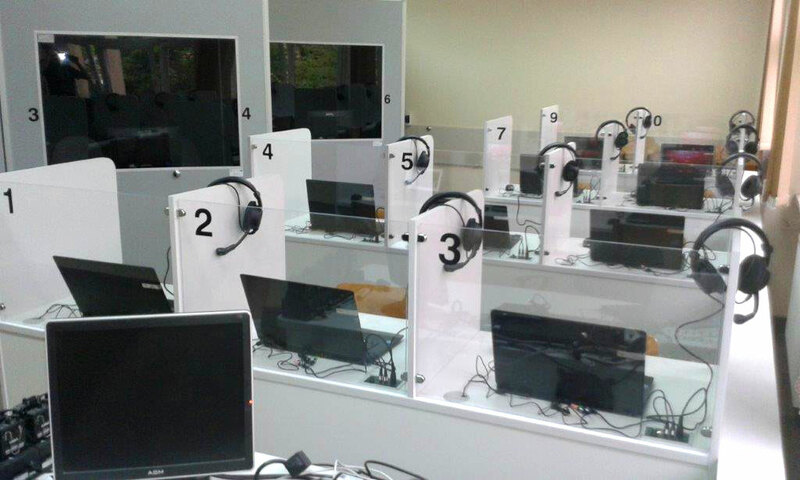 Up to 12 pairs of interpreters working simultaneously in the indirect mode. Listening to an audio channel of any interpreter. Audio scanning - listening to subsequent interpreters, switched by timer. Listening to an audio channel of any language. Listening in to the audio channels of the batches of 6 users, separately or at once. Listening to one of three audio sources for students. Teacher can monitor its audio channel. 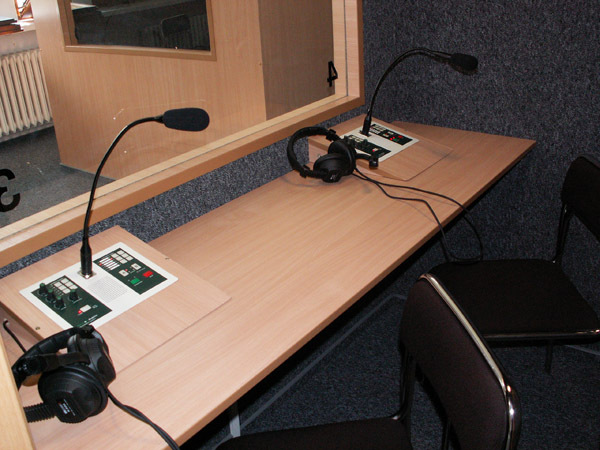 One of the three audio sources can be freely assigned to each of the interpreter booths. 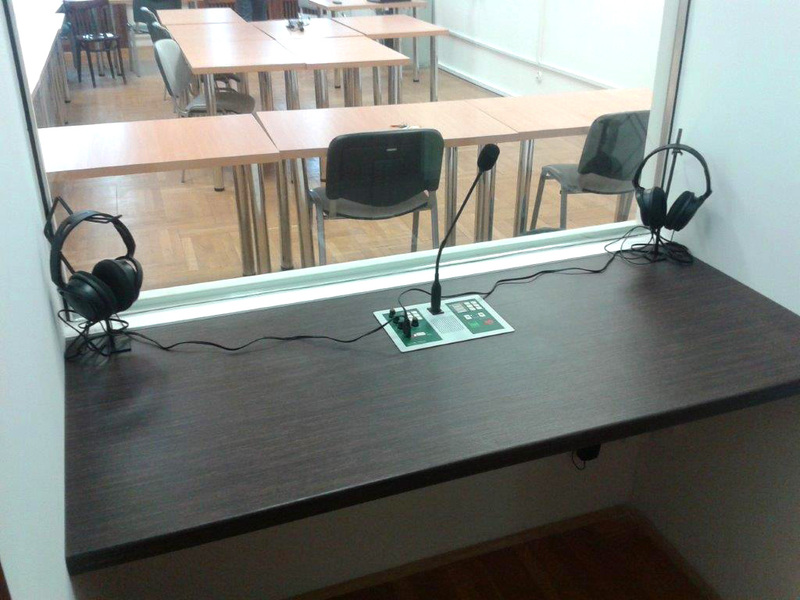 Private connection between the teacher and any of the interpreter consoles. Buttons easing the simultaneous control over a large number of interpreter consoles. Import and export of a student list and application settings to and from a file. Interpreter console can be blocked for the duration of settings adjustment. Simultaneous recording of all the 8 audio channels. Replaying the translations of any of the students. Scan function allows you to set a time interval after which a student you are listening in will switch to another, and then another and another. Dialogue function allows direct communication with any student. Programmable A, B and C keys representing different audio sources. 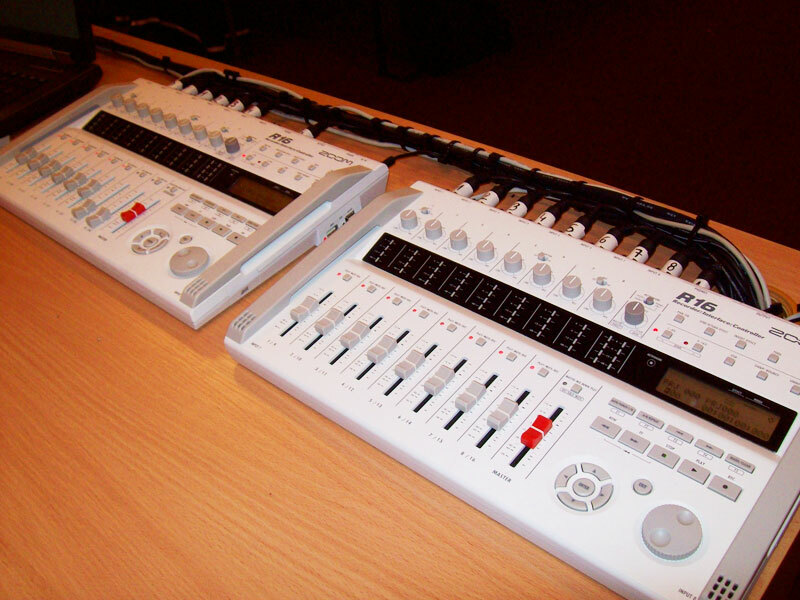 The A, B and C audio sources can be assigned to given interpreter consoles. 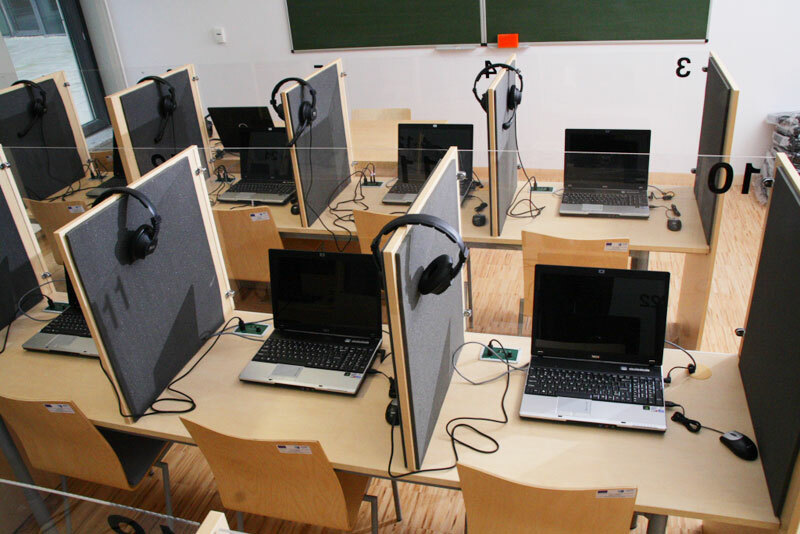 The teacher can send an audio message to all the consoles. Setting time limits for given tasks. 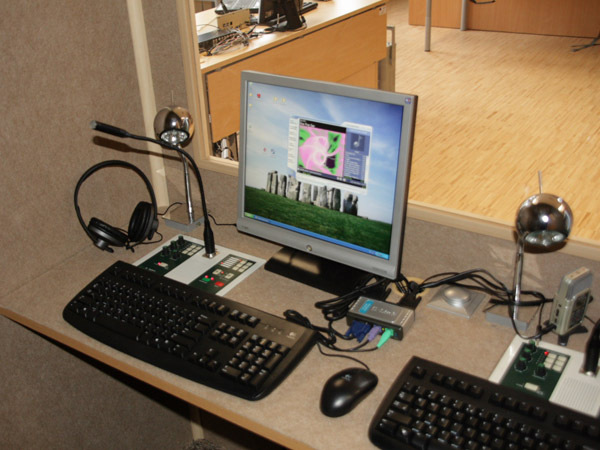 Up to 12 two-person interpreter booths and a language instructor console are—next to other AV devices—the main parts of the system. 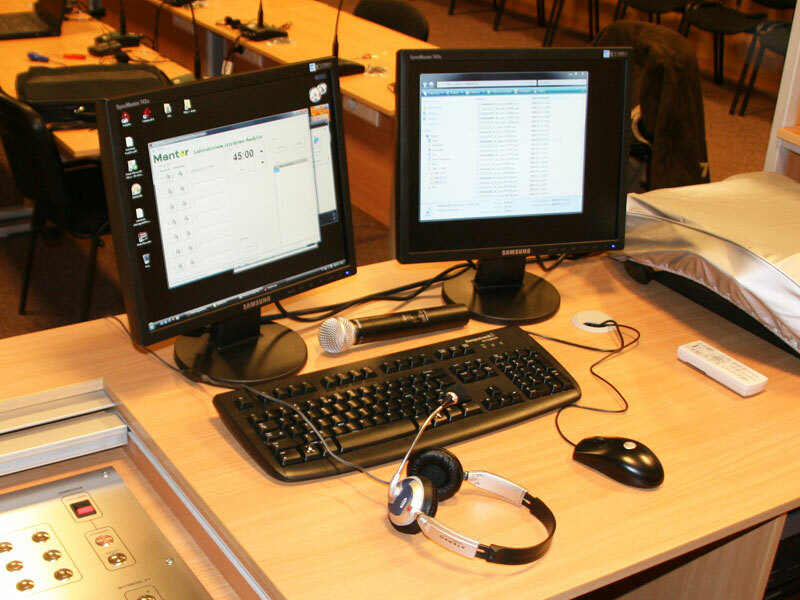 The teacher uses PC with the Audytor LAB software to assign each of the three audio sources (A, B or C) to the chosen interpreter consoles and to eavesdrop on the students' work. Scan function allows to set a time interval after which a student the language instructor is currently listening in, will be switched. 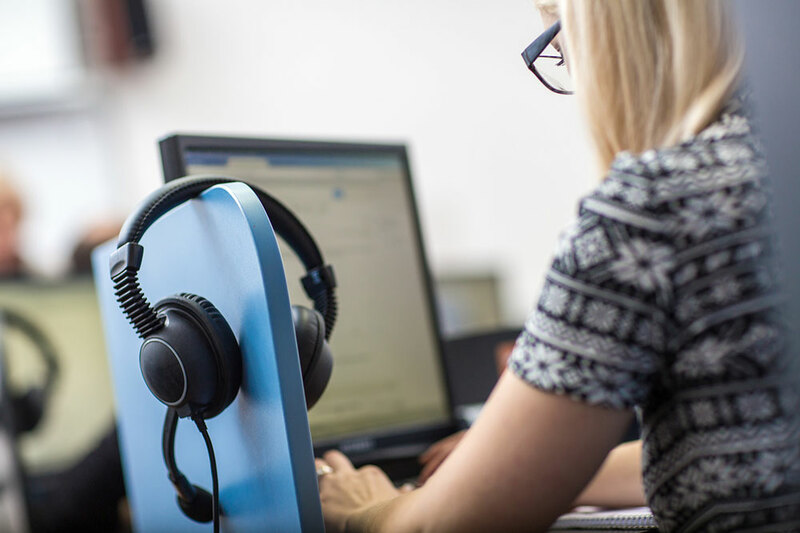 The teacher can also give indirect translation classes, record the students' translations and replay them, and immediately correct a mistake by speaking directly with a given student (thanks to the Dialogue feature). 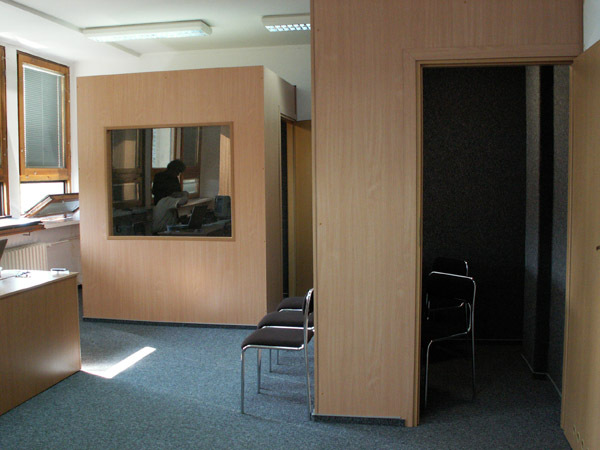 If a classroom contains both the language laboratory and as little as two interpretation booths, the language instructor can give phonetics classes during the interpretation training. 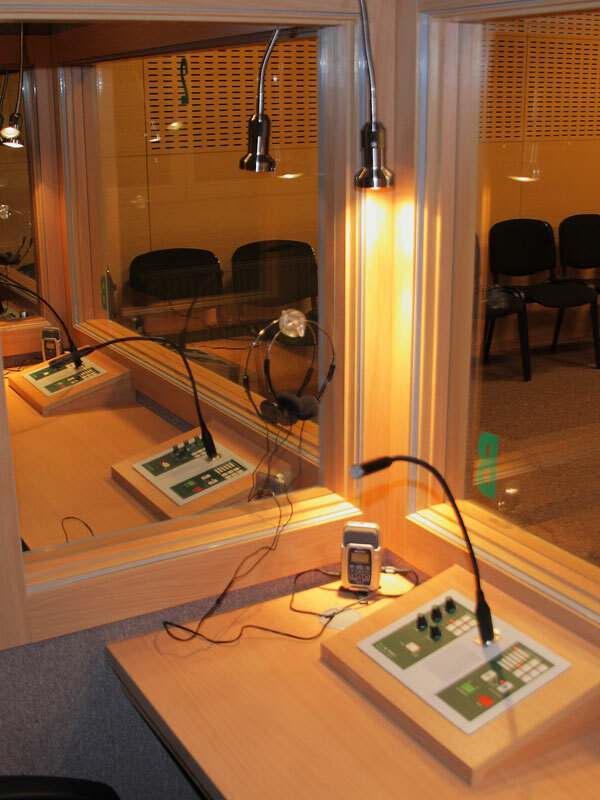 The language laboratory can act as an audio source for the interpreters and the interpreter booths are great if the teacher wants to give private lessons or conduct oral examination during other classes. 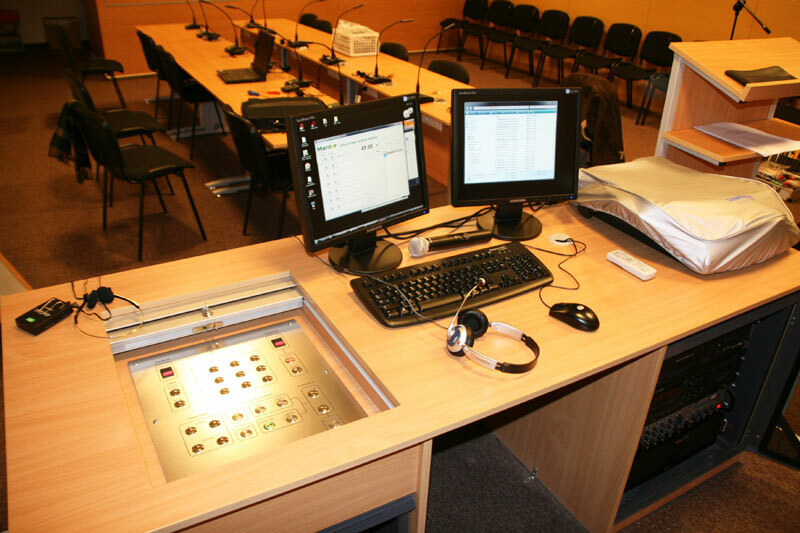 The conference system is a natural extension for interpreter training laboratory, providing realistic simulation of a conference. 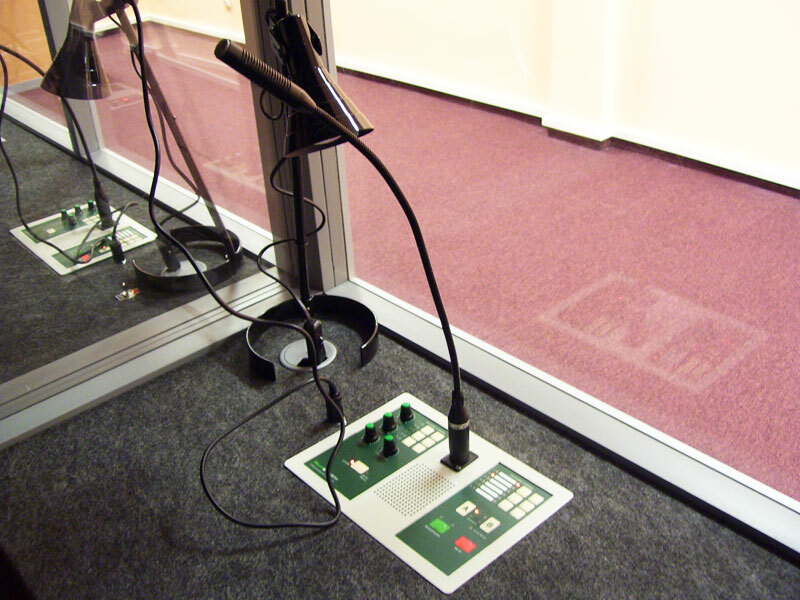 A group of students using the conference system microphone consoles can have a debate in several languages by turns, while a group occupying the interpreter booths would use the debate as a interpretation training material. 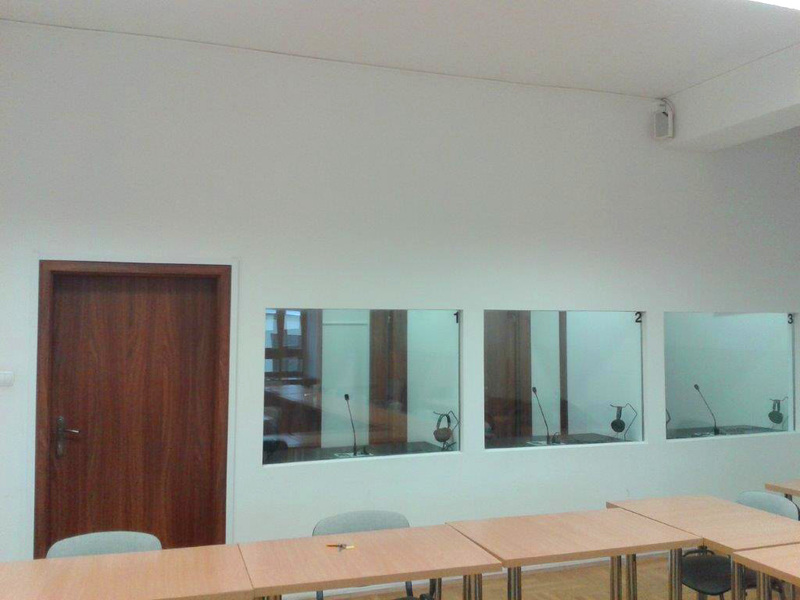 Audytor LAB + conference system Both the Delegat conference system and a wireless simultaneous interpretation system. 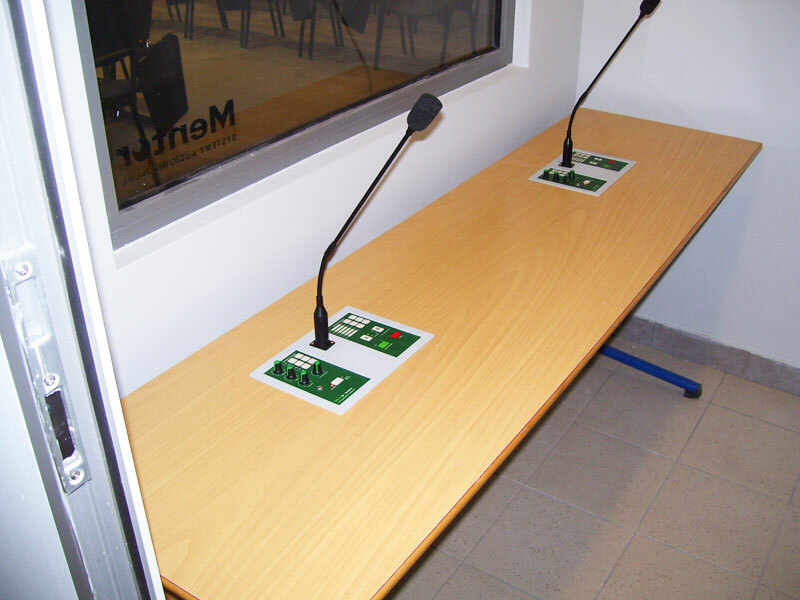 These systems working together give the user a complete environment of a real conference hall to work with. Additionally to the functions derived from cooperation between the Audytor LAB and Delegate systems, this set allows replaying the students' translations by other students in order to familiarise them with the technical aspects of the work. Philology students can take the roles of conference participants and experience the mistakes of the interpretation trainees, developing their skills further. It's also valuable to be able to listen to one's own translation, translation recorded before by the language instructor. 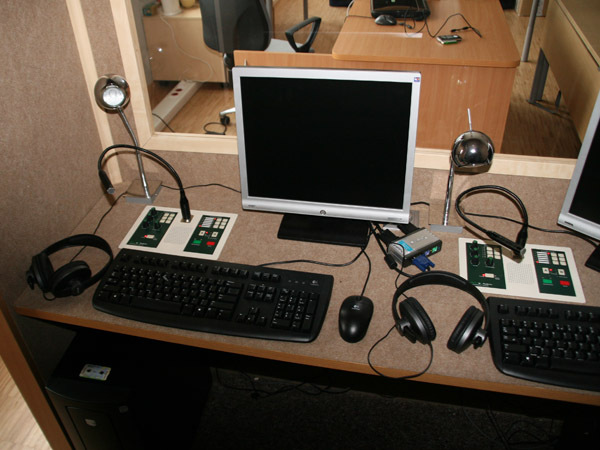 Main unit of the simultaneous interpretation system in a rack, inside an equipment locker of the interpretation instructor. 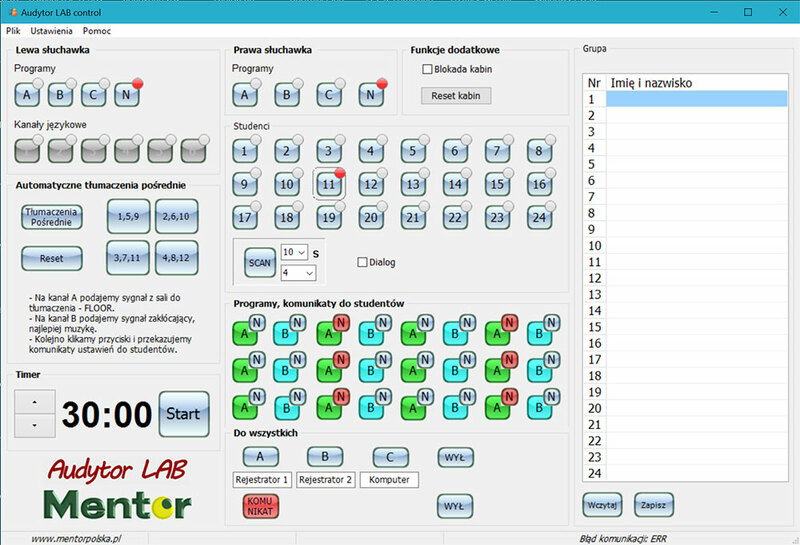 Audytor LAB can be controlled only via a PC—or an interactive board—with the Audytor LAB application installed. 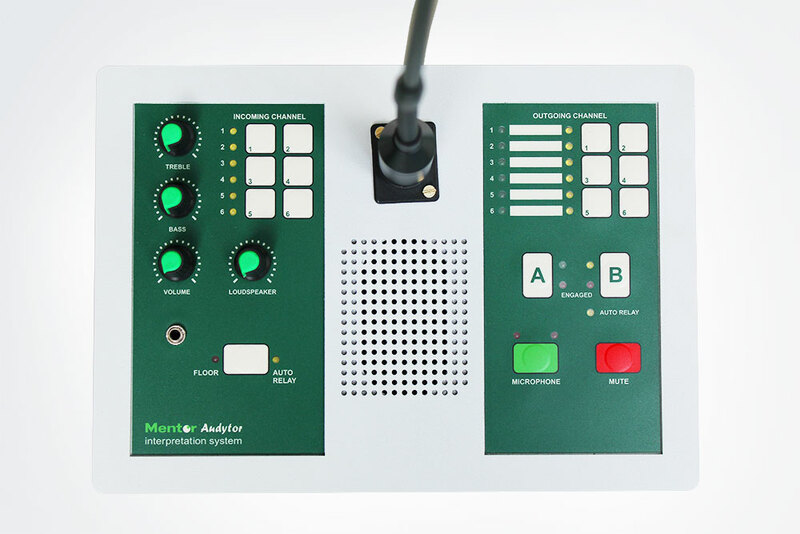 Modern and reliable control based on microprocessor technology. Supports up to 3 audio sources. Volume control for a speaker. Volume and tone control for headphones. 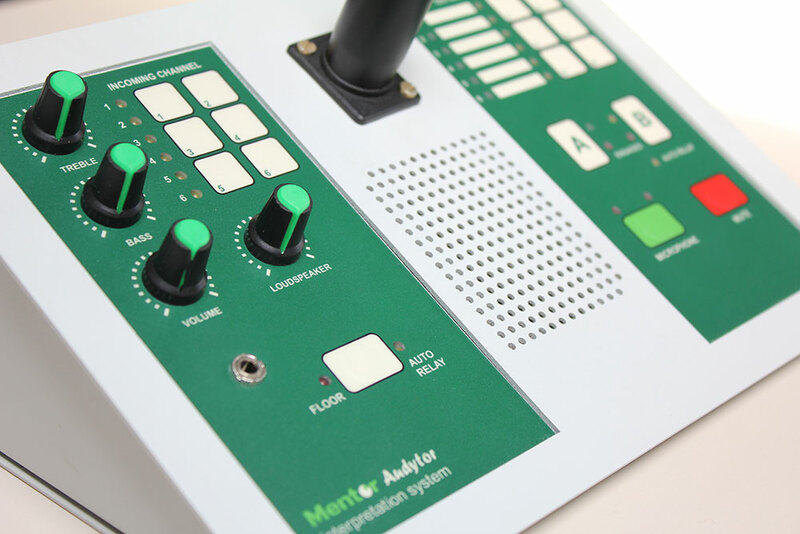 6 buttons to switch between corresponding language audio channels and LED indication of the currently active channel. 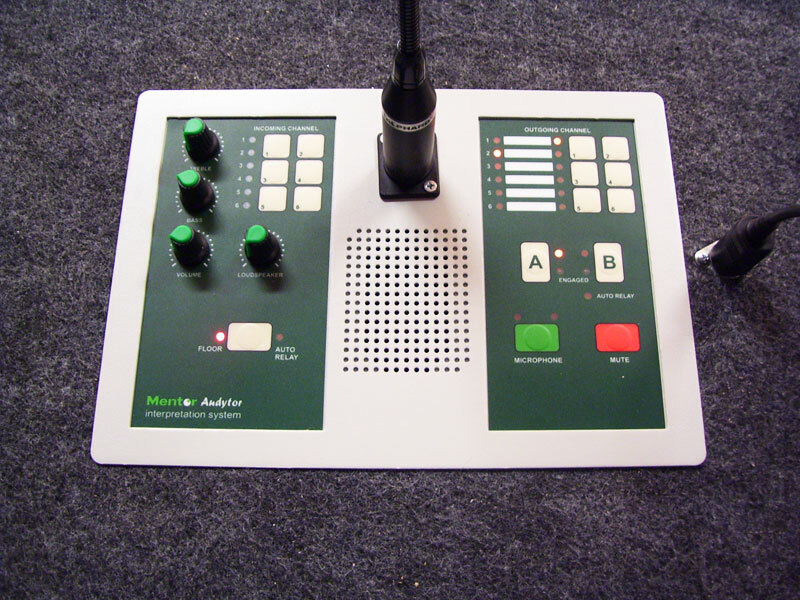 Conference hall listening and indirect listening buttons. 6 buttons to switch between corresponding language audio channels. 12 LEDs indicating the current language audio channel. Audio channel busy state indication. A button to mute a microphone. Single button turns a microphone on and takes over an interpretation process. Switch to set a default language audio channel. Min. size: L=200cm, W=200cm, H=220cm. Front PMMA pane: min. 4mm. 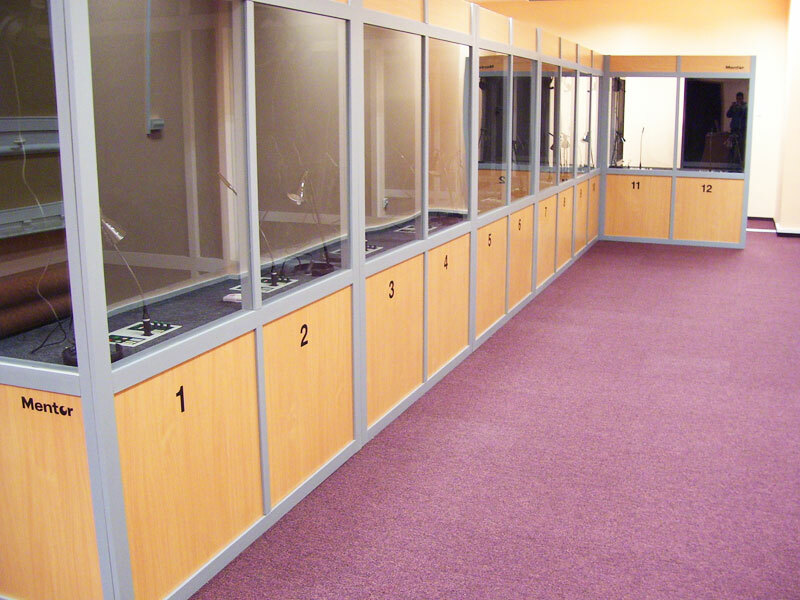 Acoustic insulation of the booth. 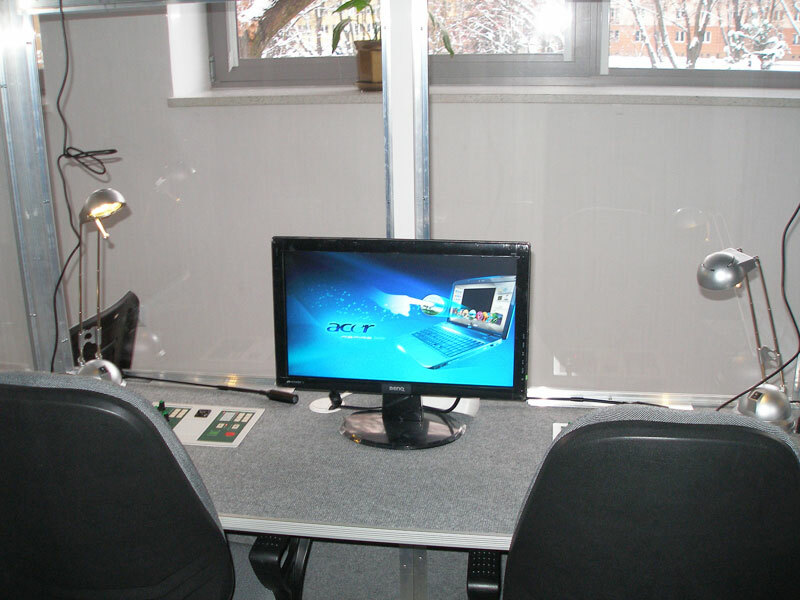 Desktop for interpreters + 2 seats. Wide frequency range, and great sound quality and transient response time. 3.5mm audio jack with an adapter to 6.3mm. 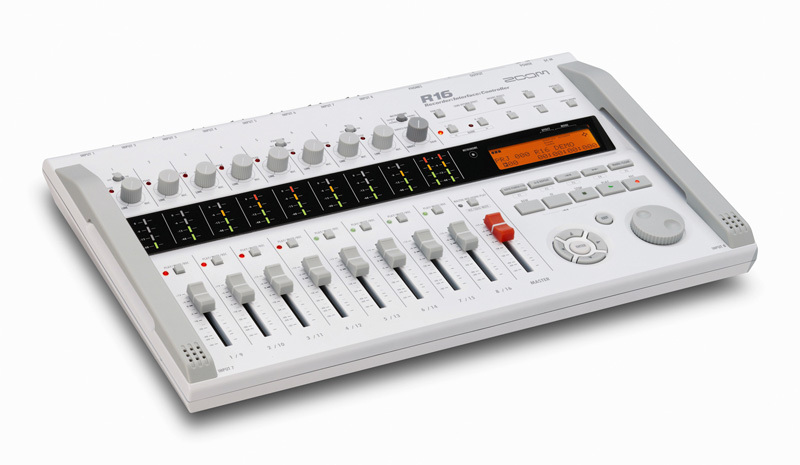 Multi-track, digital audio recorder with 16 tracks of playback and 8 tracks of simultaneous recording. Uses Secure Digital (SD) cards. High-resolution (24bit/48kHz) linear PCM recording as WAV files. Built-in stereo capacitive microphones. All rights reserved © 2019 Mentor sp. z o.o. sp. k.